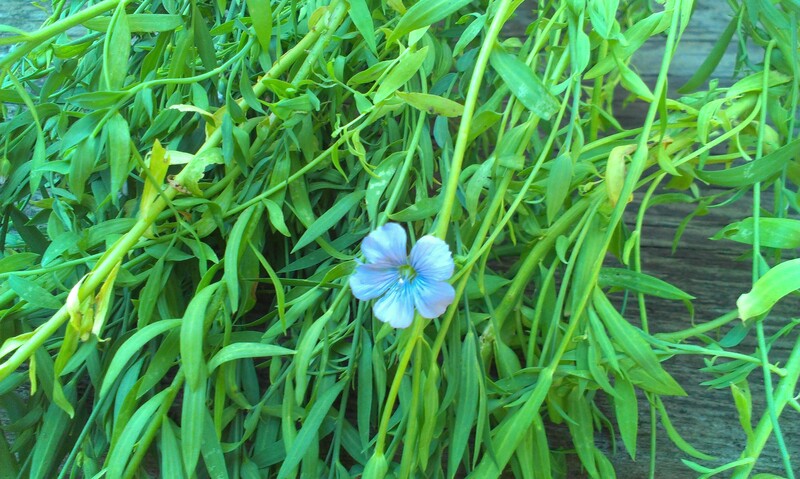 This summer I’m growing flax again for the first time in almost 25 years. 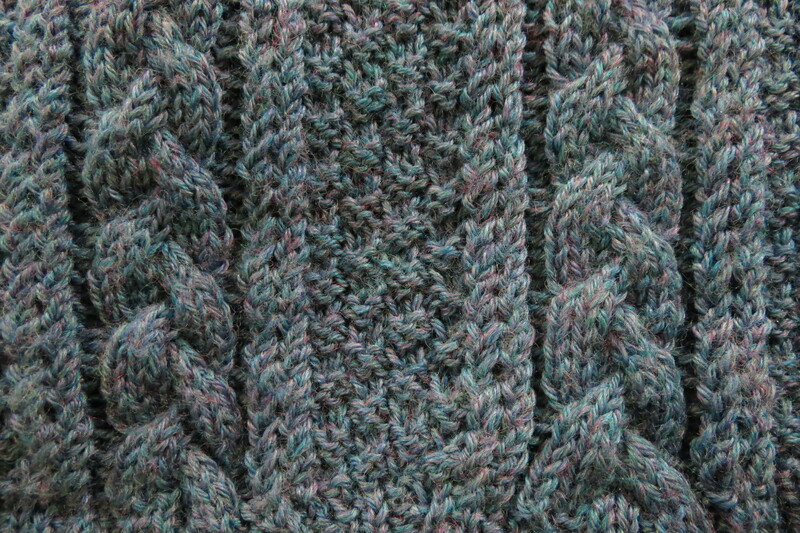 The first time around was as part of an experiment in recreating Neolithic weaving techniques. 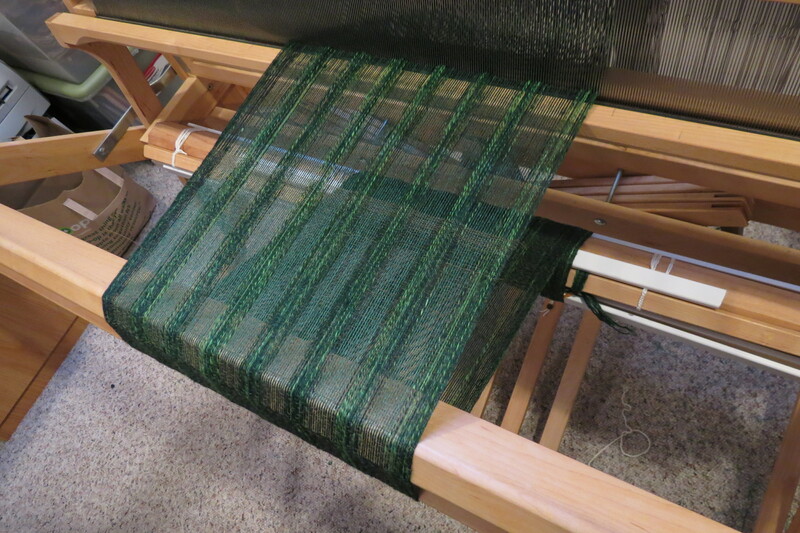 My husband helped me assemble an upright warp-weighted loom made of saplings that we cut down using homemade stone hand-axes. Each of the fired ceramic weights had a different design incised into the clay. Simultaneously I grew my own flax, dried it, retted it, and hackled it. 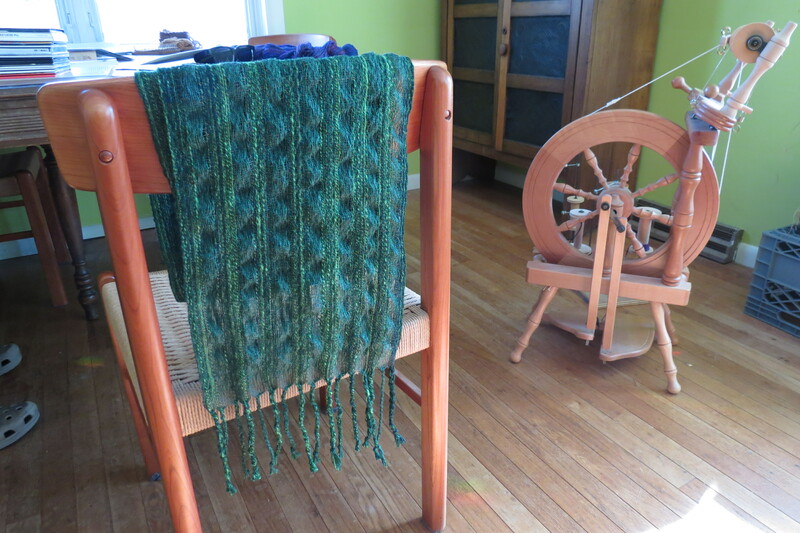 Then I spun it: the first spinning I had ever done. I remember struggling with the huge and oversized drop spindle (spindle options were limited in the 1980s) before saying “this is way too slow.” And that’s when I went out and bought my first spinning wheel. A lone blossom still clings to a bundle of harvested flax. I struggled with the technology but not with the flax. Growing and processing the plant is not rocket science. 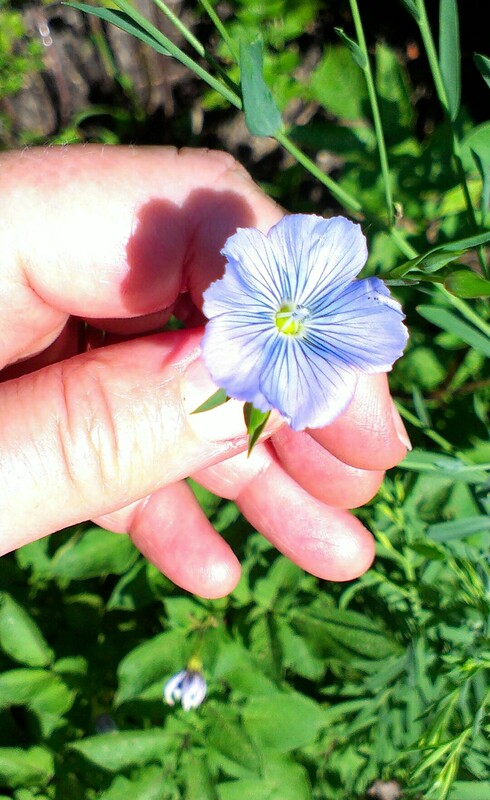 Flax is a tall flower with a long central stem, which usually has only a few short branches at the very top. Imagine a stem of celery with its long stringy fibers: if you could get rid of all the wet stuff, you’d have a small handful of strands left afterward. Flax is similar, but with a multitude of extremely fine fibers running the length of the stem. First you dry your picked bundle of flax thoroughly to eliminate all extra moisture. Then you soak it, either once or repeatedly, to rot (“ret”) the softer parts so they will separate easily from the fibers. (Warning: this part of the process smells very bad!) Then you dry it out again. When the retted stems are once again bone-dry and fragile, you take a handful of the flax by one end and wallop it against something hard to break it apart, and the dried and broken vegetative bits drop away in pieces, leaving a blonde-gray handful of long shining linen fibers in your hand. You then comb it to remove any last particles, and you’re ready to spin. The lovely flowers are sky-blue and fade by the afternoon of the same day they open. Photos of the process and the tools involved can be found in many places online, including here and here. With so many resources available at a click, why not plan to grow the world’s oldest domesticated fiber in your garden next year? Note: you want to buy fiber-flax for spinning purposes, not oilseed flax for internal fiber and nutrition! The latter shares the same Latin name but has much coarser fibers. Although I bought flaxseed from Baker Seeds, I suspect that these seeds were not in fact the fiber variety but rather the oilseed variant. That’s probably a very good method. Just be careful when spiraling the stems around inside the bucket so they won’t break, and be sure to fill the water to the very top. A batch of retting linen smells very similar to those occasions when something crawls under the woodshed to die! Who knows, it might work as a deer repellent.